Shopping for your country home? Then you're probably accustomed to the challenges of finding suitable furniture. Rustic settings can bloom with the aid of the right items, but the perfect purchase can be hard to find on the high street. At Atlantic Shopping, we sincerely believe in the beauty of country kitchen stools, and this is why we have chosen to feature a number of rustic treasures across our range. 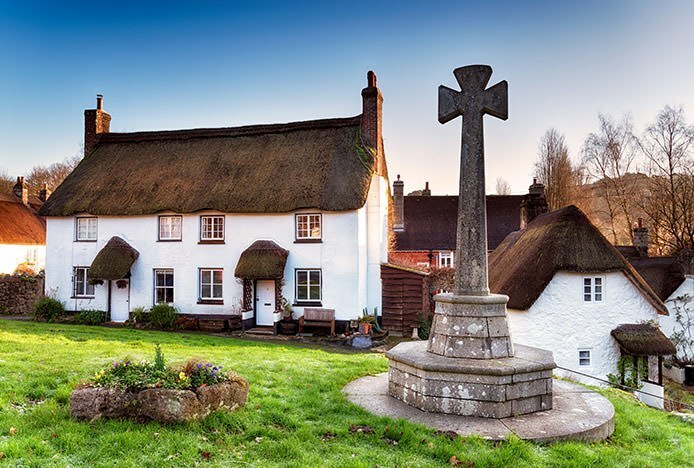 Naturally, country homes differ from contemporary ones. While the modern kitchen can often comprise of a corian worktop, high gloss features and fancy appliances, their rustic counterparts tend to place greater value on artful simplicity. "Painted surfaces and classic cabinets rule the roost, with delicate details taking precedent over showy pieces. We believe the key to a successful country kitchen is understatement, and our stools reflect this." 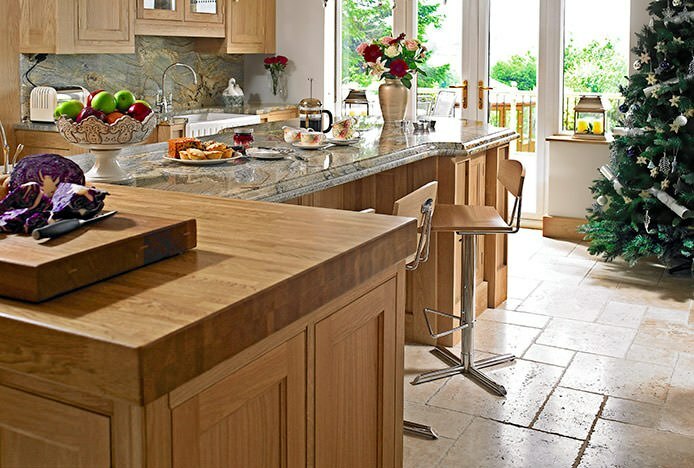 Wooden bar stools are the natural choice for country homes because they offer the perfect complement to their beauty. One of the key benefits of wood is that it doesn't date. As a result of this, these rustic bar stools always represent a worthwhile investment. It can take on many forms, too. The disparity between a walnut and oak finish is considerable, yet both finishes succeed equally in bringing a sense of refinement to a given setting. The emergence of the farmhouse chic trend has also influenced the increase in our rustic range. Leather bar stools make a jaw dropping impression, particularly in the company of four legged wooden frames. Similarly, bleached interiors work wonderfully well with a range of colours. Of course, sometimes a contrast can be very welcome. For example, glossy ABS Plastic bar stools can make a particularly arresting impression on rustic surfaces, where their trademark sheen is memorably illuminated. 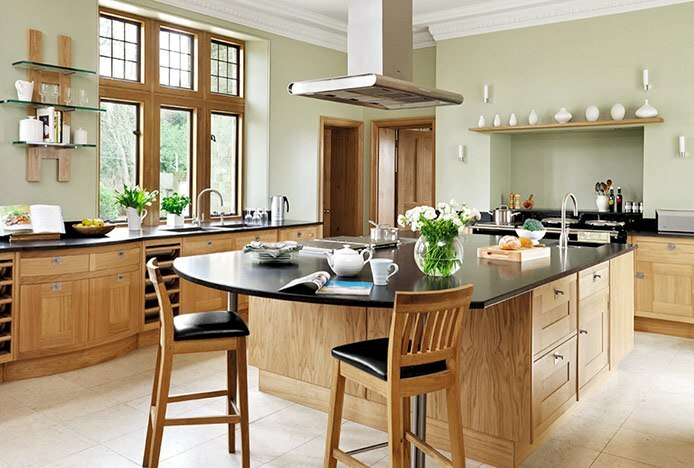 Indeed, the muted charms of a wooden or granite surface create a tasteful canvas for experimentation. Effortlessly composed, they're ripe with opportunities for customisation. Inevitably, time has influenced the design of these items. Many modern country stools combine the warmth of tradition with advances in technology. As a result, today's market is rife with traditional yet remarkably efficient designs. Items like the Blade Bar Stool Walnut put a new spin on an old favourite, by bringing wooden seating together with an adjustable height mechanism and 360 degree spin. Much of the beauty of bar stools lies in their capacity to continue evolving, without losing any of their base appeal. Country kitchen stools are no exception, and their continued success can be attributed to a variety of factors. Introduce a cluster of these charming delights to your home, and you won't look back. Whether you have a rustic country kitchen or a chic industrial town house, we’ve a stool to suit every interior at Atlantic Shopping. You can browse our expansive selection of kitchen stools below. Create a homely space with our stylish collection of oak tone bar stools.. Simple and homely, our rustic bar stools exhibit a real natural charm.. Enhance any space with a time-honoured traditional bar stool design..
We take a look at the reasons why wooden stools are still firm favourites..